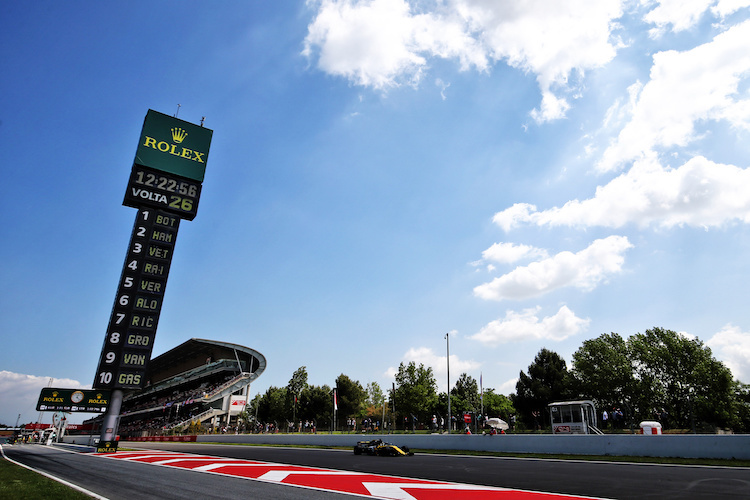 The Spanish Grand Prix is held at the Circuit de Catalunya, located on the outskirts of the city of Barcelona. Combining almost guaranteed perfect weather with amazing views from all of the spectator areas, this “all-rounder” of a circuit is one of the most pleasant ones to attend on the race calendar. 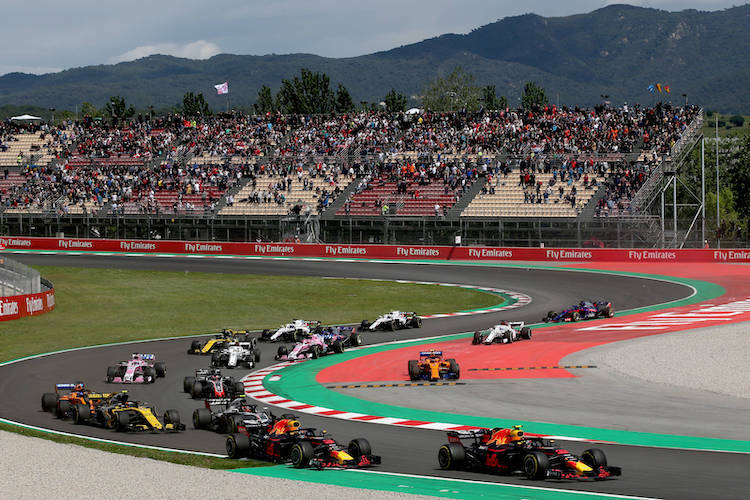 With just about every type of corner and few chances of overtaking, the Catalunya circuit is more of a technical battle, with most of the focus on the car. Use the navigation menu to start planning your journey to the next Spanish Grand Prix. The Circuit De Catalunya is in Montemolo to the north of the city of Barcelona, Spain. This is in the ‘Catalan’ region of Spain that has long been seeking independence from the rest of the country. Catalonia has political autonomy and people in the region refuse to describe their language or nationality as ‘Spanish’. Drenched in history with some great Roman architecture, the area is one of the most popular tourist destinations in the world. Situated on the Mediterranean coast, the weather is almost always dry and warm. Construction of the Circuit De Catalunya also coincided with the Barcelona Olympic Games construction in 1992. The 1992 race was advertised as the Grand Prix of the Olympic Games. The circuit was then used as the start and finish line for the road team time trial cycling event. Catalunya is possibly the most diverse of any circuit. Because of this and it’s near perfect weather conditions, the track is used regularly for testing, so the teams are all very familiar with the layout. There are more strategic variables for the teams to play around with than at other tracks, making the setup of the car more important at Barcelona than it is at most other circuits on the race calendar.The main straight is over a kilometer long and the rest of the circuit winds over the hills behind the pits. Unlike a lot of other circuits, general admission tickets are possibly the best way to watch the action because the grassy mounds provide great views. Due to the numerous amounts of corners on this circuit, there are very few chances of overtaking. Turn 1 is possibly the only overtaking opportunity at Catalunya, as it is a braking zone at the end of a kilometer long DRS straight. It is the vast range of corners that really ups the excitement at Catalunya. There are some fast corners – turn three is ultra-fast and one of the few corners in modern F1 where drivers can take several different lines. Turn nine out the back is also very fast, but tricky because drivers cannot see the apex or exit of the corner as they turn over a blind crest at 230kph. The section after turns 11 and 12 was redesigned by German engineer Hermann Tilke to lower speeds onto the pit straight, increasing overtaking opportunities. Tyre wear is very high and often sparks problems at Catalunya. In past years it has been an advantage to pit first and fit new tyres rather than stay out on light fuel. Wind can also be a factor at Catalunya, especially at the top of the hill during the second half of the lap.